The Water Authority of Fiji (WAF) will be undertaking a partial water shutdown in the Western Division. 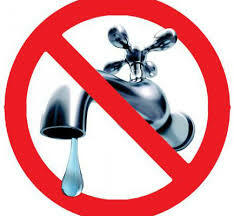 Water supply will be disrupted to selected elevated residential areas of Nadi and Lautoka City. This disruption will take place from 6pm Saturday (09/02) until 6am Monday (11/02). WAF Board Director, Mr Kamal Gounder has assured customers that despite repairs to a major leakage on the high-pressure water pipeline from the Vaturu Dam to the Nagado Water Treatment Plant, WAF will be able to supply water to majority of areas in Nadi and Lautoka while undertaking the partial planned shutdown to allow. So please ensure that to sufficiently satisfy water requirements over the partial shutdown period, each household should store sufficient amounts of water to sustain them for at least two days for drinking and cooking purposes. Moreover, WAF will ensure that during the partial shutdown period there will be no interruption to the major services such as hospitals, airport, schools and hotels as 17 water carting trucks will be deployed to cart water as well 6 four wheel drive twin cabs carting 1000 litre water tanks to service inaccessible areas. WAF highly regrets any inconvenience caused to its customers and seeks the corporation of motorists and road users to be mindful and give way as WAF water carting trucks will be moving around during the disruption period. Meanwhile, customers are to contact the Authority’s National Contact Centre on 1507 or email waterhelp@waf.com.fj for any clarification or water carting assistance.